Rabbi of Flatow (Zlotowo); lived in the first half of the nineteenth century. 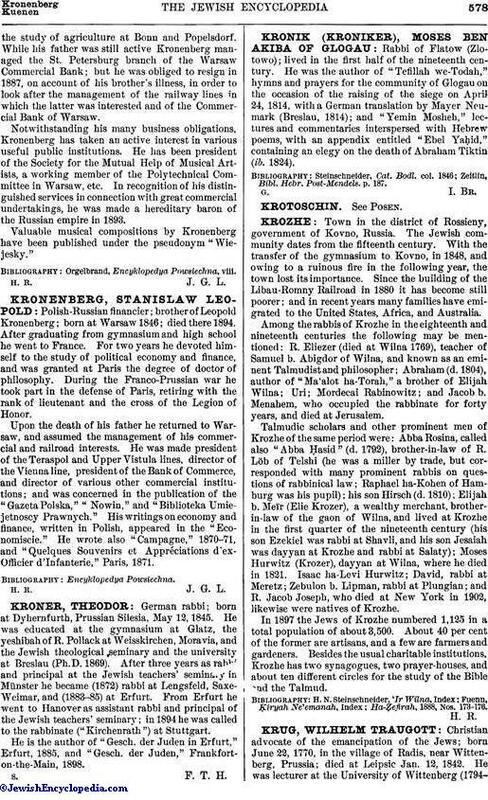 He was the author of "Tefillah we-Todah," hymns and prayers for the community of Glogau on the occasion of the raising of the siege on April 24, 1814, with a German translation by Mayer Neumark (Breslau, 1814); and "Yemin Mosheh," lectures and commentaries interspersed with Hebrew poems, with an appendix entitled "Ebel Yaḥid," containing an elegy on the death of Abraham Tiktin (ib. 1824). Zeitlin, Bibl. Hebr. Post-Mendels. p. 187.